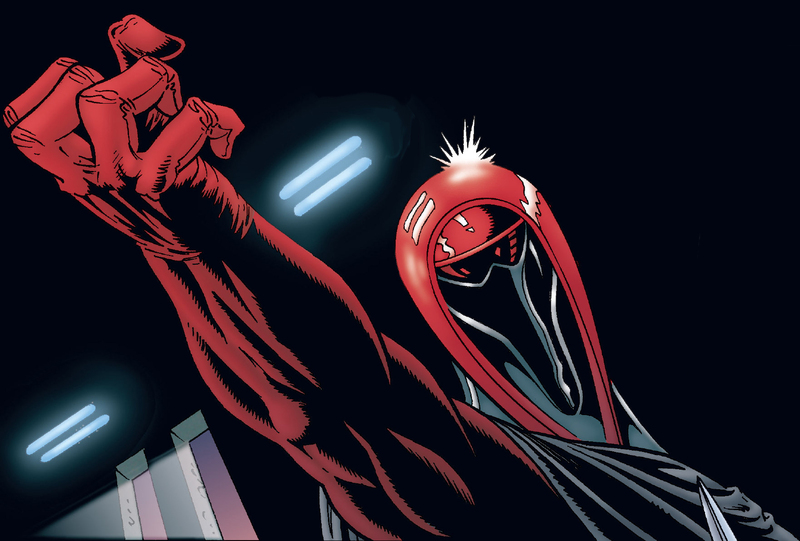 Will there be trooping restrictions, as with other main characters? I know the PG aren't main, but there are only 8 and very specific helmet/weapon combinations. We are reviewing all available images and screen shots. Can't rush things as that is when things get missed. I will put it plain and simple. Many want to say it . So here it is. What is taking so long for this ? All the reference that will ever be available has been released. Is it a matter of pride, get over it. So.... What is going on ? We have many talented builders and costume makers in our legion. You have legion members sitting with either partial built or built costumes wanting to troop waiting to see what alterations they may need to do. There have been several other costume crls already done from this movie by both legions that are of at least equal detail. I know you want to be as accurate as possible. But it also has to be reasonable for building, wearing and trooping over the long run. As I said in the beginning. I think I'm speaking for many. We have heard many excuses. Guards watching each other's backs. There are several Crls That I have gathered up photos to be placed into CRLS to be completed that where unfinished, long before EP8 was even thought of. Not everyone in the legion has access to go to said local hollywood or Disney park to get photos up close. The Armor part is not the question on the detail that can be seen. There are makers that are working on a flexible filament that is used in parts of the armor. This is a volunteer group of which many of us work long hours to provide for our family. I congrat your enthusiasm of have 7 costumes with in the legion. The "get on with it" phrase can really be rudely taken by members. If you would like to discuss this in a email I would appreciate it as I do not wish to see a bating of a thread on the forums. Bating and threatening is not the way to getthings done here. The Detachment Staff is ready to discuss this on an email base with you. All of us have a life beside the legion and we are all giving a great amount of time freely to work for the legion. So please believe us that is not just a few clicks to make a CRL ready to work. As long as there is work done on the costume to find all right parts it will not be going online. The detachment has no level system and will never have. So we will do it right from the start. For those of us with some free time on our hands, is there any way we can get involved and help in creating the CRL? Are there photos that need to be found still or other research on specific costume parts still needed? Is there a channel to properly submit drafts or volunteer to write copy for the crl where needed? It's very quiet on these boards lately, so I'm not sure if we all know the proper way to help contribute to this! I don’t think that any of the posts are meant to be taken as baiting. Maybe saying get on with it was a bit blunt, but there is a lot of frustration at the lack of updates on the crl. There has been nothing since March 10 th, almost 2 months ago. There was the announcement that the correct fabric has been found,on a separate thread, then nothing else. Everyone understands that the people who write the crl are volunteers. Well the people who build and wear these kits are also volunteers. Giving up time, mostly to raise money for charity. These costumes have been worn by other groups for months. This is one of the most frustrating parts. We are the 501st, supposedly the best costuming group, but we can’t have costumes that other groups do as we have to follow procedures. 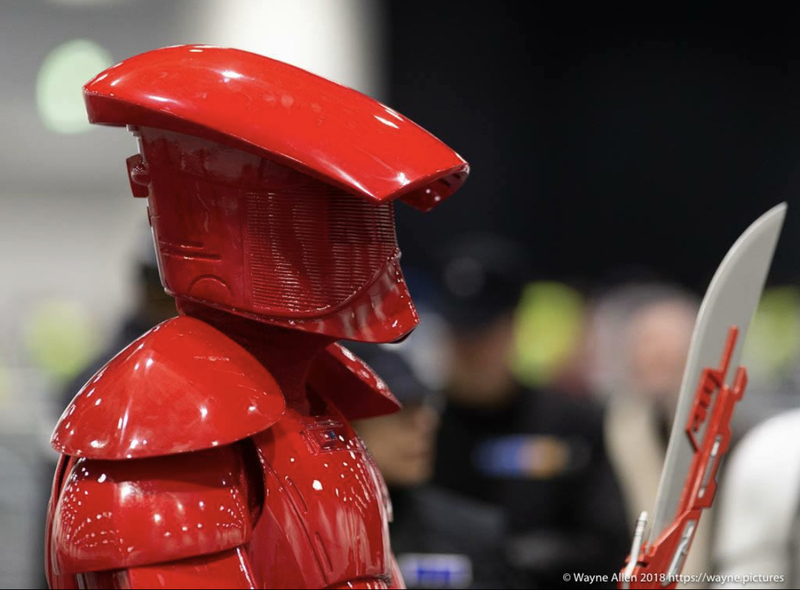 There’s been a lot of excitement around the Praetorian Guard. But the time taken with the crl is killing the excitement. I’m not saying it should be rushed but you can’t expect people to just wait and wait with the occasional ‘command staff are reviewing the images’ posts. Even if the draft crl was uploaded, and further parts added every few weeks, it would be better than nothing. I know the way they do it on white armor is different. I appreciate that way wouldn’t work as this site doesn’t have the interest or sheer numbers of people building TK’s that are able to contribute. There has been a lot of people offer to assist with the crl in any way possible. Dawn has even written a very detailed draft of it. Her and Luke have taken super high res photos of a screen used costume in LA covering almost 360 degrees. This is the same amount of reference that we had for the Rogue 1 kits. These were taken nearly 3 months ago. Initially there was disappointment but understanding that the crl would come after the Home release of TLJ. It was release digitally mid March and physically in late March. It was fairly obvious that there would be no further reference material on the home release. There will be no further reference material anywhere that is not in the public domain already. It is known what section is made of what. What details are on each arm section etc. I think it has been established that the fabric is custom made and not hard wearing. Surely a suitable alternative can be suggested. Maybe there isn’t the interest from CS to do the CRL, in which case maybe other alternatives need looking at. Please don’t take this as me trying to argue or provoke a reaction. . The CS on all the boards do an often thankless task. But every member of the 501st gives up a lot of their free time, and a lot of these people are waiting to get kits cleared by a CRL that seems as far away now as it was before the movie was released. I thought it was better to post my opinion on here rather than on the Facebook build page which would probably do no good and turn into an unregulated free for all. Thank you maybe put more eloquently than I. Possibly due to the frustration as you mention. And no it wasn't meant as baiting. My typed words may have been taken the wrong way. It was meant as a coach would would do. You know " come on team, lets get going!" And I realize CRL development isn't just a simple few clicks. I know this from the development of both the shoretrooper and the assault tank commander and at-act driver that was done by contributions of all those wanting to help in the Crl, that were also discussed openly so all could see what further needed to be researched or prototypes made of parts. I think you can see we are all very enthusiastic at high level. And while my schedule is also full with my personal life as a husband and father, and work and GEC duties making contact with hosts and getting troops out for our Garrison to participate in etc, I would be willing to also spend the time needed to help with this CRL. I also don't know what further research I would be able to provide. As mentioned above I think all the images possible are there. As far as finding the soft materials. As also mentioned above much of what they use is custom made. And as all crls are meant as a guide for the gml to use in costume approval, I think some of the soft parts for this costume will have to be as close as possible as the look can be achieved since obtaining the actual material will not be possible. What ever may need to be done I'm sure the talent in the persons interested can achieve it very timely. You just have to ask us.